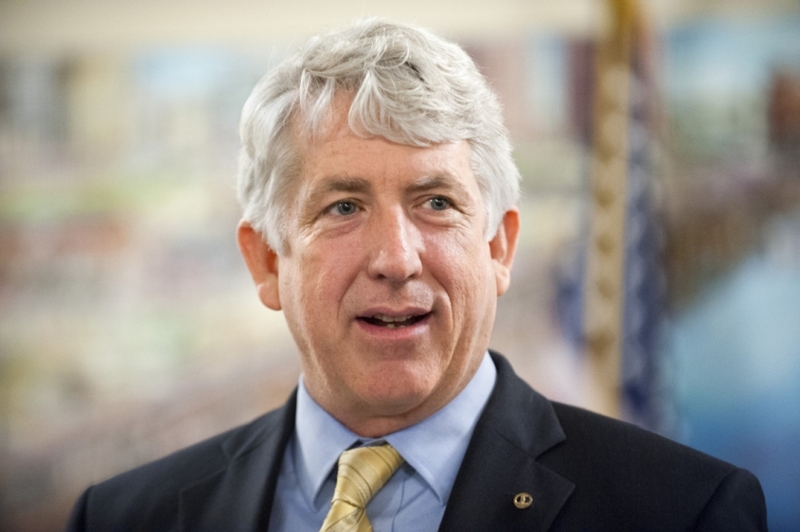 Virginia Attorney General Mark Herring released a statement Wednesday admitting that he wore blackface once while he was in college. It’s the latest in a string of scandals on Capitol Square involving Virginia’s top Democrats. Herring said in 1980 he dressed as rapper Kurtis Blow for a college party, wearing a wig and brown makeup. A spokesperson for Herring said Herring’s office does not know whether a photo exists. "This conduct is in no way reflective of the man I have become in the nearly 40 years since,” Herring said. Herring’s admission comes five days after he called on Governor Northam to resign over racist yearbook photos. Northam has faced a barrage of demands for his resignation since the release of his 1984 Eastern Virginia Medical School yearbook. It includes a photo, adjacent to photos of Northam, depicting two unidentified people wearing blackface and a Ku Klux Klan hood and robe. So far no public officials have called on Herring to step down, but House Speaker Kirk Cox released a statement late Wednesday saying the belated Herring admission is shocking. Reporters clogged the hallways of the State Capitol Wednesday, hoping to talk to lawmakers in between meetings. Few were willing to comment on Herring’s admission. Del. Mark Keam (D-Fairfax) told reporters he’s focused on passing bills and finalizing the budget. “I would like to think that our government is a lot more resilient than one or two or three scandals that might be happening on any given day,” Keam said. Del. Lamont Bagby,chairman of Virginia’s Legislative Black Caucus, did not respond to reporter’s questions about whether Herring should resign. He did say the caucus would respond to Herring’s admission soon.